Come by the PTA Book Fair to find great educational Christmas gifts! You can also shop online HERE from Nov 8th - Nov 21st! Come see Clifford the Big Red Dog! 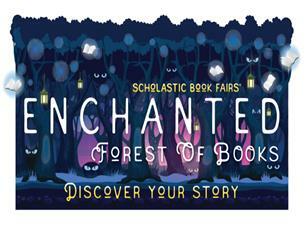 Clifford will be at the book fair on Nov 14th from 9:00 am - 10:00 am. We will also have free coffee and pastries for parents to enjoy while shopping the book fair. Come by and shop with your student, enjoy a sweet treat, and visit with Clifford. This is a late start Wednesday, so the middle school tardy bell is at 9:15 am and the primary school tardy bell is at 10:10 am.